Tuttle’s libretto integrates the poetry of Mapplethorpe detractor Essex Hemphill and advocate Patti Smith, and the featured vocalists for this world premiere are Isaiah Robinson and Alicia Hall Moran, the latter of whom will perform later this week in Carrie Mae Weems’ Past Tense at the Theatre at Ace Hotel. TRIPTYCH is directed by Kaneza Schaal and conducted by Sara Jobin. Music direction is provided by Brad Wells. 111 South Grand Avenue, downtown Los Angeles. From top: Bryce Dessner, photograph by Shervin Lainez; Robert Mapplethorpe, Dorothy Dean, © Robert Mapplethorpe Foundation; Korde Arrington Tuttle, courtesy of the artist; Robert Mapplethorpe, Alistair Butler, 1980, © Robert Mapplethorpe Foundation. Images courtesy LA Phil and the Robert Mapplethorpe Foundation. This entry was posted in MUSIC, PERFORMANCE, PHOTOGRAPHY and tagged Bryce Dessner, Essex Hemphill, Kaneza Schaal, Korde Arrington Tuttle, LA Phil, LA Phil New Music Group, patti smith, Robert Mapplethorpe, Robert Mapplethorpe Foundation, Roomful of Teeth, Sara Jobin, Simon Harding, The National, Triptych (Dessner), Walt Disney Concert Hall, Yuki Nakase on March 3rd, 2019 by Barlo Perry. Pathway to Paris—founded in 2014 by Jesse Paris Smith and Rebecca Foon—is committed to raising consciousness surrounding the urgency of climate action and offers solutions to turning the Paris Agreement into action. Tickets are now on sale for PATHWAY TO PARIS LOS ANGELES, a benefit concert featuring Patti Smith, Karen O, Lucinda Williams, Flea, Dhani Harrison, Eric Burdon, and writer-environmentalist Bill McKibben. Sunday, September 16, at 7 pm. Theatre at Ace Hotel, 929 South Broadway, downtown Los Angeles. This entry was posted in EDUCATION/ACTIVISM, MUSIC, PERFORMANCE and tagged Bill McKibben, Dhani Harrison, Eric Burdon, Flea, Jesse Paris Smith, Karen O, Lucinda Williams, Pathway to Paris, patti smith, The Theatre at Ace Hotel on September 2nd, 2018 by Barlo Perry. A new edition of THE THIEF’S JOURNAL by Jean Genet features an introduction by Patti Smith. * “Holy Disobedience: An Introduction to the New Edition,” by Patti Smith, copyright © 2018 by Patti Smith. Excerpted from THE THIEF’S JOURNAL, by Jean Genet, copyright © 1964 by Grove Press. Reprinted with the permission of Grove Press, an imprint of Grove Atlantic, Inc. All rights reserved. Top: Grove, Atlantic’s new edition of Jean Genet, The Thief’s Journal. Above: Covering the 1968 Democratic National Convention in Chicago. Image credit: Esquire. Bottom: Genet by Brassaï. © Estate Brassaï–RMN. This entry was posted in BOOKS/PERIODICALS, LITERATURE/POETRY and tagged Brassaï, Grove Atlantic, Jean Genet, patti smith, The Thief's Journal (Genet) on August 21st, 2018 by Barlo Perry. 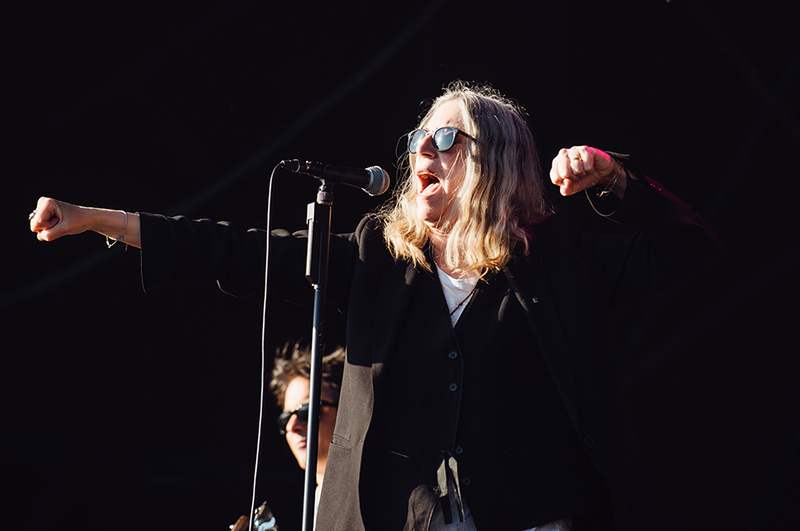 This year’s Festival of Voice in Cardiff features AN EVENING WITH PATTI SMITH WITH LENNY KAYE AND TONY SHANAHAN. Last week in London, Smith played at the Hoping Foundation benefit Hoping for Palestine—A Benefit Concert for Palestinian Refugee Children. PATTI SMITH, Tuesday, June 12, at 8 pm. DONALD GORDON THEATRE, Wales Millennium Centre, Bute Place, Cardiff. This entry was posted in EDUCATION/ACTIVISM, LITERATURE/POETRY, MUSIC, PERFORMANCE and tagged Festival of Voice, Hoping Foundation, Lenny Kaye, patti smith, Tony Shanahan on June 10th, 2018 by Barlo Perry.